Today is Phil’s birthday and he’s here now. So happy 38th birthday to phil! 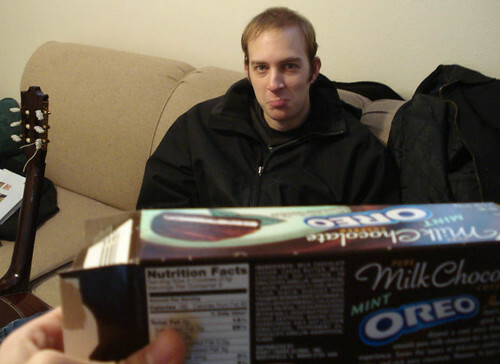 We were going to see ‘No Country for Old Men’ which is supposed to be a great movie, but Phil’s hip was acting up so I gave him some mint oreos instead. Happy birthday buddy I hope it’s the best. 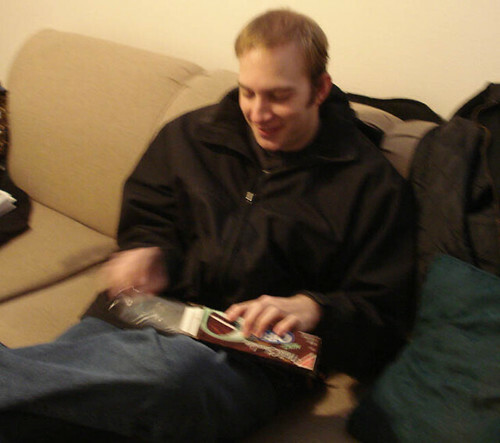 Here’s Phil digging into his present. Who needs enemies with friends like these! Phil - you’re the best!!! 38??? You wear it well. May your birthday blessings be forthcoming forevermore!!! no wonder phil looks sad.. he needs more than cookies- bro!